Secrets seem to be a popular subject these days. Do you have any secrets? Of course, you can't tell if you do, because they no longer would be secrets. So, let's take a look at a couple of books that both have serious secrets. I'm delighted to share these books with you. And boy do they have a secret that can change everyone's life. “Oh what a tangled web we weave when first we practice to deceive.” The quote is from Sir Walter Scott’s poem Marmion that was published in 1808. Today, it could apply to Author Ashelyn Drake’s novel Our Little Secret. How? I’m glad you asked. The characters in Our Little Secret might be found in almost any high school today. 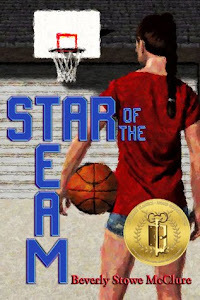 There’s Toby, the good-looking basketball star, loved by all the girls. His twin sister, Tori, who feels inferior to her popular brother, and who wouldn’t? 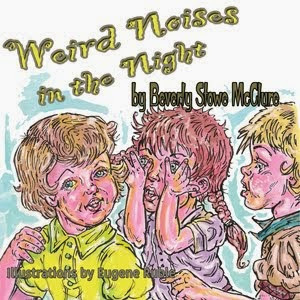 Becca Daniels, the story narrator, has known the twins all her life. Tori is her best friend. Therein lies the problem. Becca would like to be more to Toby than just a friend. To do so, would ruin her friendship with Tori. Then there’s Meredith, his ex-girlfriend. You see where this tangled web is going? The secret comes in when Toby and Becca start hanging out with each other, the beginning of something more serious, and pretending to Tori that Toby’s just tutoring Becca in trig. One lie leads to a bigger lie to a bigger lie. Sometimes I was a little aggravated with Toby and felt he should have been honest with his sister. I also understood. Teens do not always make the best decisions. Is Becca willing to give up her friendship with Tori to get the boy of her dreams? And what about Meredith, who’s out for revenge against Toby? 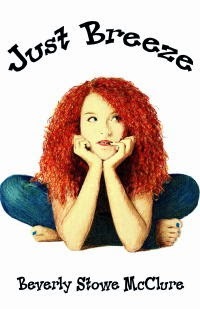 Ashelyn Drake has written a story that most teens can probably relate to. They might even learn a lesson or two about honesty. A fun read with characters that aren’t perfect and make mistakes, like real people. I recommend Our Little Secret for teens and older folks too, who can smile with the memories. The next book is about a totally different subject, but it too has a dangerous secret. This story is a bit spooky, as the cover shows. 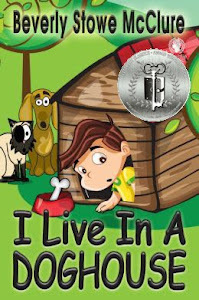 What’s a boy to do when his mother is murdered in a robbery at her antique shop, his dad sends him to stay with a friend for a while, and then sends him to live with his grandfather, all without any explanation? Why won’t his father tell him what’s going on? Does the necklace his mother gave him right before her death have something to do with the mysterious things happening in his life? She mentioned the amulet might have magical powers. To add to his confusion, Thomas Patrick Henry meets a ghost. 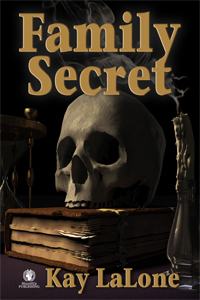 FAMILY SECRET, a paranormal mystery for young readers by Author Kay LaLone, will keep you guessing who the good guys are and who are the bad, at least it did me. There’s never a dull moment. Just when I thought we’d have the answers to Tom’s dilemma, the author threw in a twist. As Tom attempts to solve the mystery of why someone is after him and why people keep getting killed, he discovers that his father has kept secrets from him all his life. Even his mother had her secrets. And he begins to suspect that the same person that’s after him may have killed his mother. Kay LaLone has written a novel that will keep you guessing, along with Tom, if he can trust anyone, even his own father.. FAMILY SECRET is the story of a family that in protecting their son from the truth not only made him insecure but put him in danger as well. 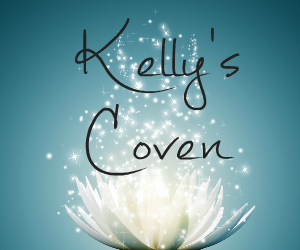 This is a good story for lovers of mystery and for those who enjoy a touch of magic. So, if you're in the mood for teen romance take a look at OUR LITTLE SECRET by Ashelyn Drake and see how their secret turns out. If a good mystery is more to your taste, try FAMIY SECRET by Kay LaLone and meet a family you'll not soon forget. Quote for the week: Be brave enough to live creatively. The creative is the place where no one else has ever been. You have to leave the city of your comfort and go into the wilderness of your intuition. You can't get there by bus, only by hard work, risking, and by not quite knowing what you're doing. What you'll discover will be wonderful: yourself. Alan Alda. Have you been doing anything new lately? 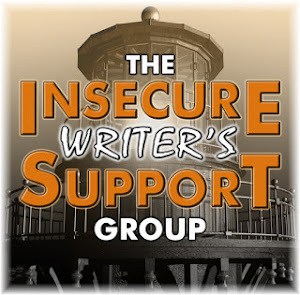 With your writing, reading, hobbies, or other? The above quote is an interesting challenge. I'm not one to try new things; I'm comfortable with my same old routine. Or I was until I tried something new and enjoyed it. Patches is looking them over. I hope she's not too upset that she's not in the book. He'd rather play in the grocery sack. Maybe he'll find a treat inside. Here are some books I've read that you might enjoy too. More books to follow. I have a lot that I've read, am reading, and will read. This wasn't my idea to show me reading them, but it is interesting. They say a picture's worth a thousand words. Are "they" right? 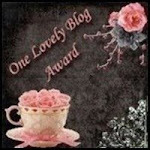 Reviews for latest reads on Wednesday. Okay, actually the book birthday for Award Winning Author Darby Kaye's UNHOLY BLUE novel was yesterday, but I was up to my eyeballs in edits. So, today, please wish Shay, Bann, Cor, and Darby a HAPPY BIRTHDAY. 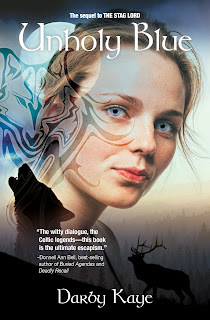 UNHOLY BLUE is the sequel to THE STAG LORD, which I loved. The book is on my iPad, waiting. I'm so excited to meet Shay and friends again. 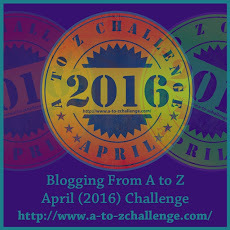 Today I have two books to share with you. The Inter-Galactic Gourmet, short story by L. X. Cain, and 00:30 Seconds, short story by Chrys Fey. Does the planet look like an eye to you? When I see the word “gourmet” I think of a gourmet meal, of delicious food. Well, sometimes a word doesn’t always turn out to mean what one thinks it means. 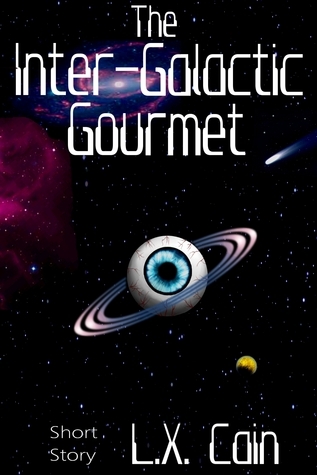 Take Author L. X. Cain’s short story, THE INTER-GALACTIC GOURMET, for instance. 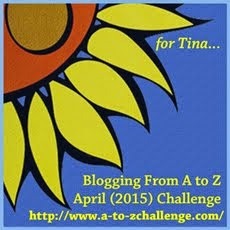 The reader meets Cynthia, who on her way home from work sees a small boy sitting on the curb, alone and hungry. So, she takes him into her apartment, an innocent, kind act, to feed a hungry boy, right? Maybe, but people are not always who or what they seem, and the story takes a little twist. Read on, if you dare. L. X. Cain has a knack for writing spooky stories that have a surprise or two along the way. 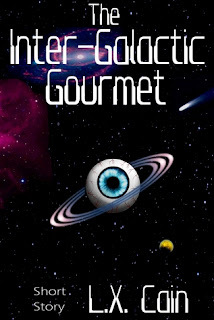 When you’re in the mood for a creepy tale, with a bit of gore, okay a lot of gore, take a look at THE INTER-GALACTIC GOURMET, a story with a different touch. You might want to read it on an empty stomach. But then, people differ in what their favorite food is. Happy eating. 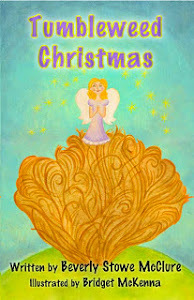 Available at: Smashwords and other places. I think a police car may be involved in this story. Do you? Sometimes people are simply at the wrong place at the wrong time. Or perhaps it’s the right place at the wrong time or the wrong place at the right time. Are you confused? If so, you might be able to relate to Dr. Dani Hart who faces such a situation in Author Chrys Fey’s novella 00:30 SECONDS. All Dr. Hart wants to do is go home to her apartment after an all-nighter at the E.R. and relax. Instead, she runs into Blake Herro, a cop (yes, literally runs into him), six armed men break into her apartment, and she and Blake hide in a cedar chest. Very cozy, if not for the fact the men want to kill her, thinking she’s someone else. From then on Dani’s life will never be the same. The author has created characters with distinctive personalities. I love Dani. She has some great lines. One of my favorites is “She wanted to lie back down and drool on him some more.” Now, can’t you just picture that scene? And Blake is a true hero and not just because of his last name. 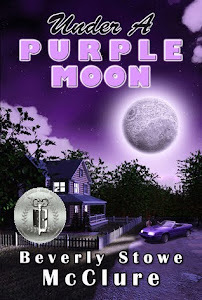 Danger, the Mob, cops, romance, and a neat surprise at the end make for a fascinating read. 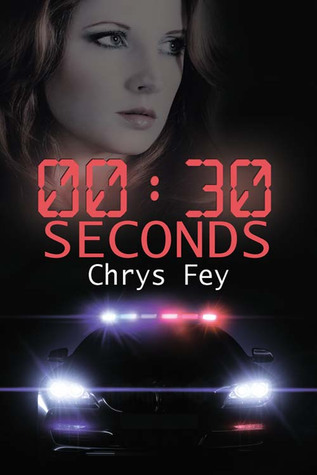 00:30 SECONDS is the first book by Chrys Fey I’ve read. 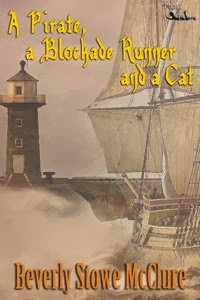 This story is so fast paced, action filled, and have I mentioned romantic, that I plan to read more of the author’s work to see what they author’s other characters are up to. Available at: AMAZON and other stores. 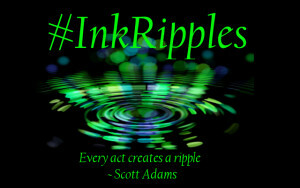 Or you can simply share your thoughts on social media using the hashtag #InkRipples. You might simply comment on one of our posts to pay along. 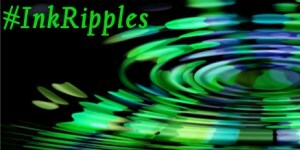 Tag us and we’re always happy to share your posts and thoughts to keep those ripples going and intersecting. I haven't traveled to exotic places or other countries (except for Mexico) but the US has lots of beautiful cities and scenery to see. 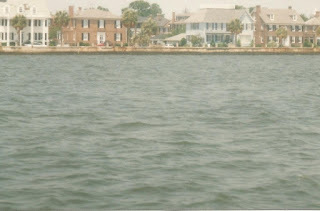 One of my favorite cities is Charleston, SC. 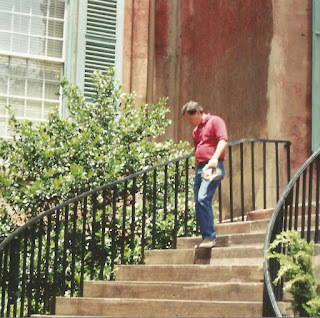 So much history is there, the old churches, colleges, and homes. And the lighthouses. This is Morris Island Lighthouse, opened in 1876. A nonprofit organization is now trying to preserve it. 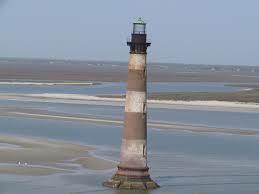 The lighthouse stands on the southern side of the entrance to Charleston Harbor. We watched the sunrise at the lighthouse one morning. I snapped this picture. The picture below is from the Net, but is a bit clearer. 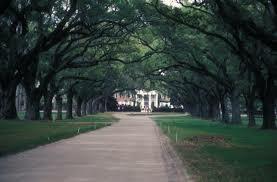 These live oak trees were planted in 1743, and I think only one has been lost, in a hurricane. This is the College of Charleston. A beautiful building used in the movie The Patriot. 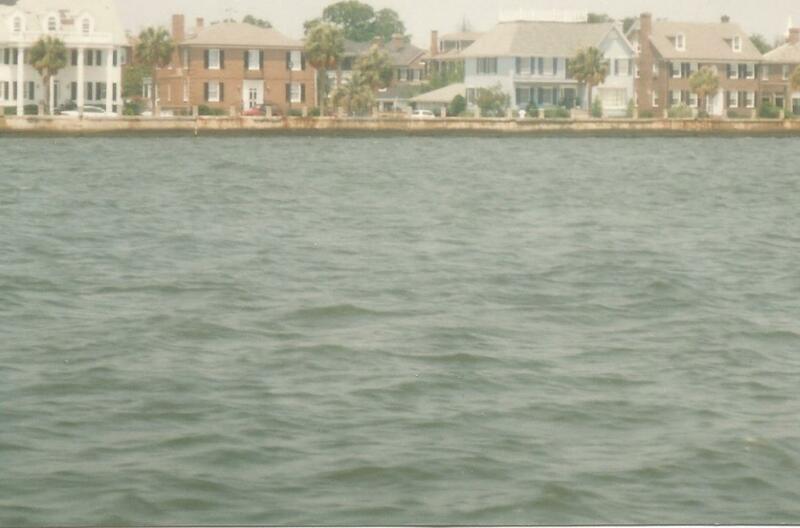 The beautiful homes along the river. Many of them were built in the 1800s. 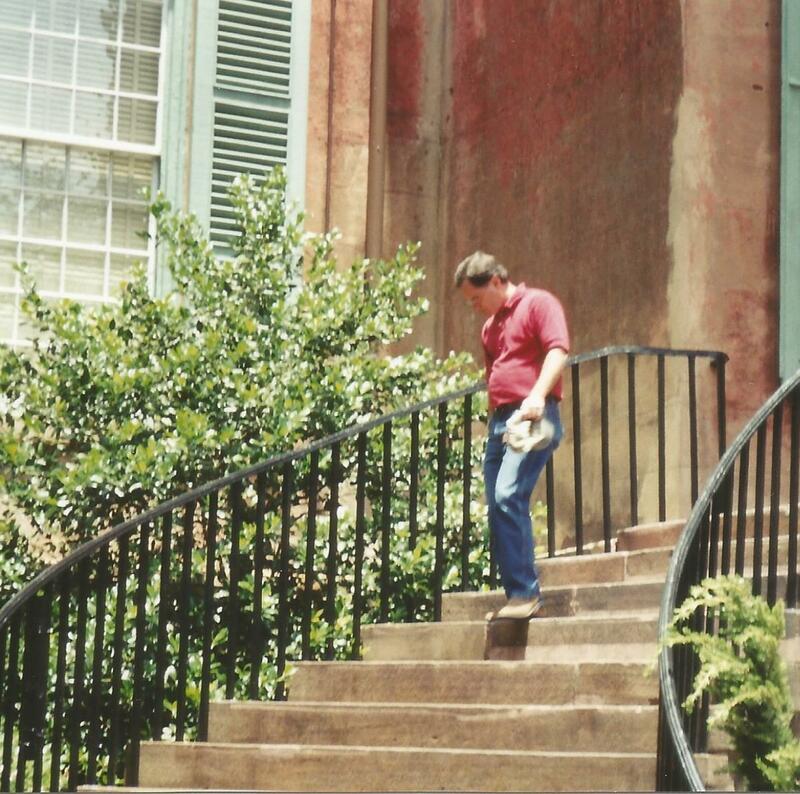 Museums, walking tours, the ocean, and so much else makes Charleston my favorite place to visit. The mountains of Ruidoso and the horse races are another favorite. And San Diego, CA, is nice. Love the zoo there. But not the traffic. 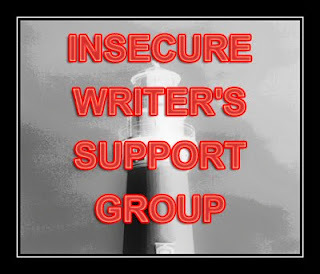 To learn more about the group go here. 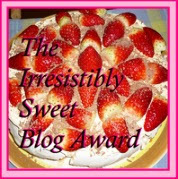 Visit the host's and co-hosts' blogs to see what they have to say. Am I insecure? Maybe, a little, but I'm going to think positive, rather than negative. My goals are to do the best I can and not worry about things that are out of my control. This includes writing, promoting, submitting, and my personal time﻿. Yes, I need more me time to relax, play the piano, take long walks, and read. Oh, and to play with my cats. Tiger loves to play ball. I roll it to him. He rolls it back. Patches grabs the ball and won't let it go. Fun. Yes. Me time. Lately, I've let my writing take priority. No more. It's important to me, and I love to write, but I want time to smell the roses too. I plan to enjoy the little things, a butterfly, a bird, a nap, watching the clouds and the stars. So go away insecurities. I'm having fun. How about you? Tiger says playing ball is tiresome. Time to nap. Patches took a minute to read the newspaper. Quote for the Week: If you find it in your heart to care for somebody else, you will have succeeded. 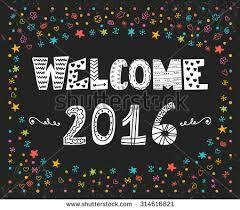 A New Year is here. We've already said Happy Near Year and all the other greetings. Now, if you're like me you're thinking about what this year will bring. Maybe you're setting goals or else you're just going along for the ride and see what happens. One goal I've set for 2016 is to GET ORGANIZED. I laugh when I type the word Organized. But I desperately need it. I'm making folders for different subjects: wip (I need three folders there), reviews, marketing, and so on. Then if I can remember where I file the folders I won't spend hours looking for something. This week I'm checking out some places to promote my future book: SCBWI Parties, Lit Pick, YA Book Central, and some others I can't recall. Do you think you'll keep them?